In a hyper competitive market, it’s worth investigating solutions that extends your existing services and can turn you a profit. Will a white label email marketing platform hit the sweet-spot? Here are some pros and cons to help you answer that question. First, a definition: “White label email marketing” means you rebrand an existing email software platform with your business’s name, logo, color-scheme, etc. — and resell it to your clients and customers, sometimes for a substantial markup. Does it make sense for your business to offer a white label email marketing service for your clients? In the early days of in-flight Internet, Google sponsored all-plane access for several airlines that offered WiFi in the sky. That meant these airlines didn’t need to charge passengers $5 or $10 to get connected; they could offer the service “free”, while Google wrote a check to pay for everyone — to the tune of millions of dollars per month. Why would Google do it? As a marketer, you know the answer: The more places and ways Google could connect with its users, and the more value-added solutions it could offer them, the more indispensable its brand would be. Even at 30,000 feet, people would associate the Internet with Google. The same goes for your relationship with your email marketing clients. The key is to add value for them, in every way you can, to make your business indispensable. Of course, as a business without Google’s bank account, you need to weigh the value of any solution you might offer your clients against its costs (in money, time, resources and focus) — and determine whether it’s truly a value add, both for them and for you. Is White Label Email Marketing the Way to Go? In a competitive space like with email marketing and marketing automation, it’s worth investigating any solution you can profitably offer — especially if it extends or complements your existing services and can deepen your customer relationships. Is a white labele email marketing platform such a solution? Here are some pros and cons to help you answer that question for your business, starting with the potential problems. Whether it is a white label marketing automation platform or email marketing, your clients view it as your solution. That’s the whole point. But it can cut both ways — and reselling a poorly designed email marketing platform, can harm your reputation and your client relationships. Your customers will expect updates, enhancements and new features as their email marking matures. So you need to make sure you choose a vendor that is committed to maintaining and further develop the email software to meet the needs of your customers. That’s why you should thoroughly investigate the many email marketing solutions out there, and select only the best one. After all, you’re literally putting your name on it. This is closely related to the first pitfall — choosing the wrong platform to white label. In addition to undermining your credibility as a trusted software supplier, putting your name and reputation behind substandard email marketing software can also result in inbound customer support questions and complaints, which will undermine your bottom line. Your customers are going to look to you for support and expertise in the solution so you need to be prepared to provide a quality experience. Choosing a stable, easy to use platform with many self-service options will go a long way to making your support life easier. Another reason to choose carefully! 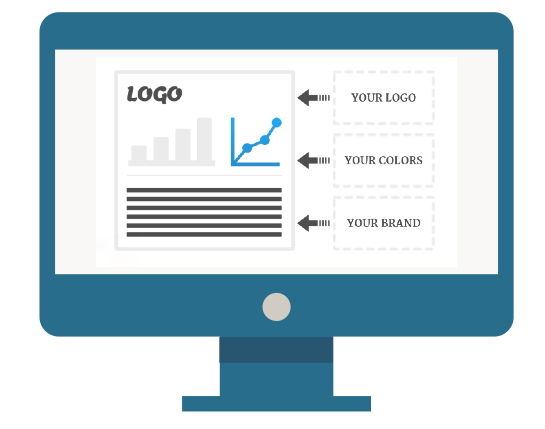 Say you’re an (email) marketing agency, helping a client create an email campaign. You’ll earn your creative fees, but what happens when it’s time to implement? You’ll likely send your client — and their money — to a third-party platform. Worse, maybe your agency runs several managed campaigns, using different email vendors, and you have to spend time mastering all of them — while collecting none of that revenue. Why not offer clients your own platform to execute their campaigns? The process would be seamless and beneficial for your clients — working with you from email creation through sending and tracking. And for your agency, it would mean keeping those implementation dollars in-house… for a nice bump in revenue. You will have visibility into your customer’s accounts, be able to monitor their usage, campaign schedules, and reports. This provides additional opportunities for services and revenue. For the same reason most people will continue using Google even if a better search engine comes along — it’s what we’re all used to — your clients are much more likely to continue doing business with you when they grow comfortable with (even dependent on) your business’s email marketing software for their campaigns. If you integrate email marketing into your offering you can present a highly targeted solution to your customers. This user experience will be hard to replace. And don’t forget, by owning the application your clients use to execute their marketing campaigns, you also maintain control over one of their most valuable assets: their marketing analytics. This is yet another subtle, but powerful, factor in keeping them as your clients for the long-term. A 2014 Inc. Magazine article makes a research-backed case that email marketing truly works — citing, for example, a Nielsen finding that 28 percent of online shoppers subscribe to store or product emails to stay informed. So it’s a good bet that most businesses, including many of your current and future clients, will be looking for help with email marketing. With your own white label email marketing platform, you’ll quickly be seen as the expert on that system and earn your clients’ trust in executing campaigns. They will come to you — not a third-party vendor — when it’s time to launch a new email-marketing campaign. EJ McGowan is the general manager of email-marketing provider Campaigner, and a 25-year veteran of the software industry. He has architected high-profile SaaS platforms and led development teams at such software game-changers as WebEx and Lotus Development Corp.